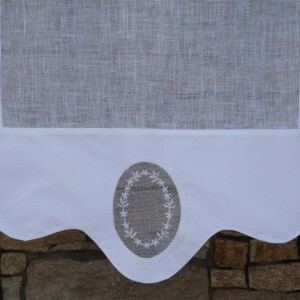 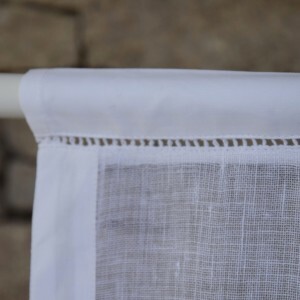 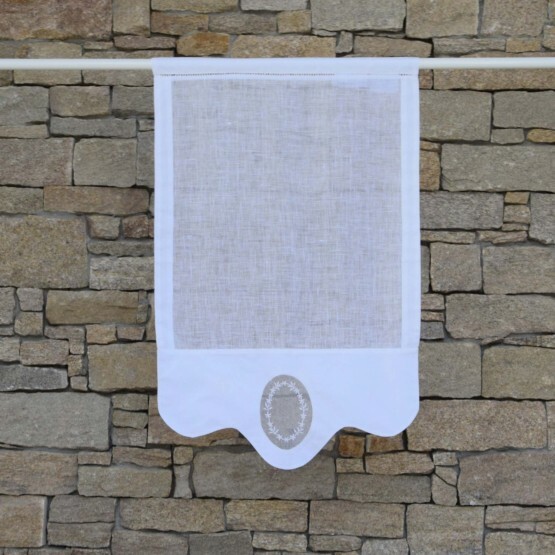 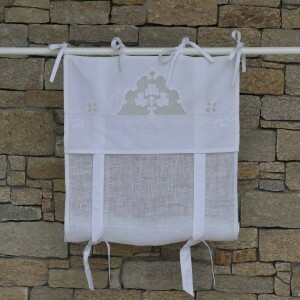 This white linen gauze brise-bise is topped with an ajour ladder pattern and features a white cotton edge with delicate embroidery - for a decidedly refined hang. 100% linen and 100% cotton border. 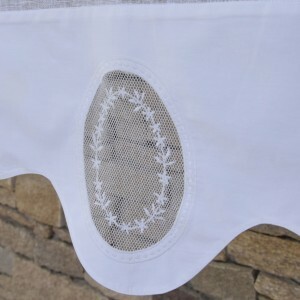 Dry clean or machine wash on delicates cycle in a net.